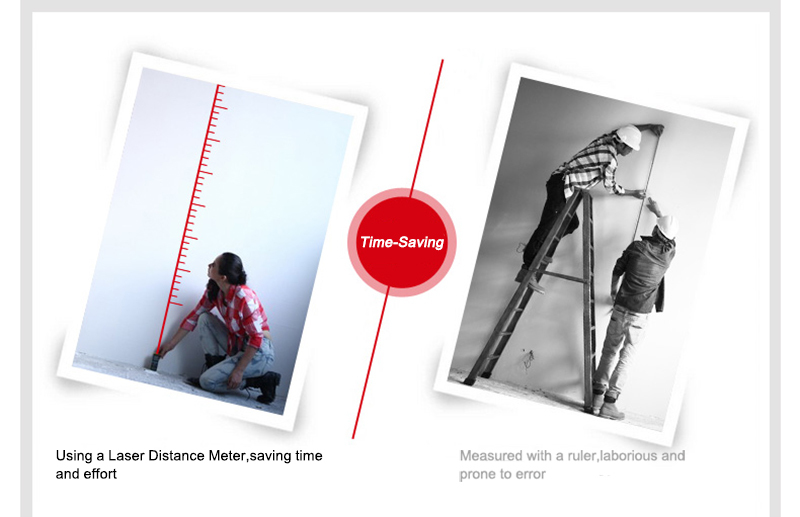 This Professional Floureon Distance Meter employs laser technology to measure distance, area and volume accurately, quickly and conveniently, this meter can make use of Pythagorean Theorem to measure distances or lengths indirectly when direct measurement is not feasible. 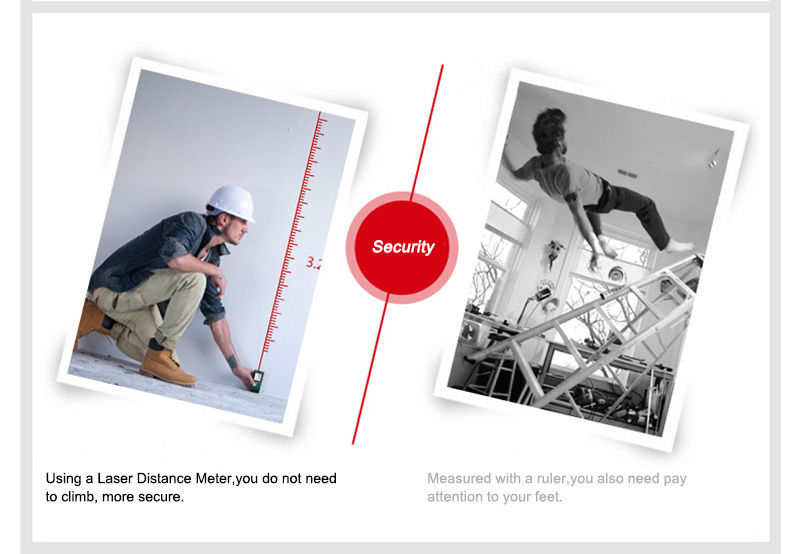 Laser distance meter has a wide variety of applications in construction and industries. It is very useful and convenient to give an accurate measurement of distance, area, and volume especially in large areas such as rooms, apartments, buildings, real estates, factories, warehouses, gardens, roads, infrastructures, etc. 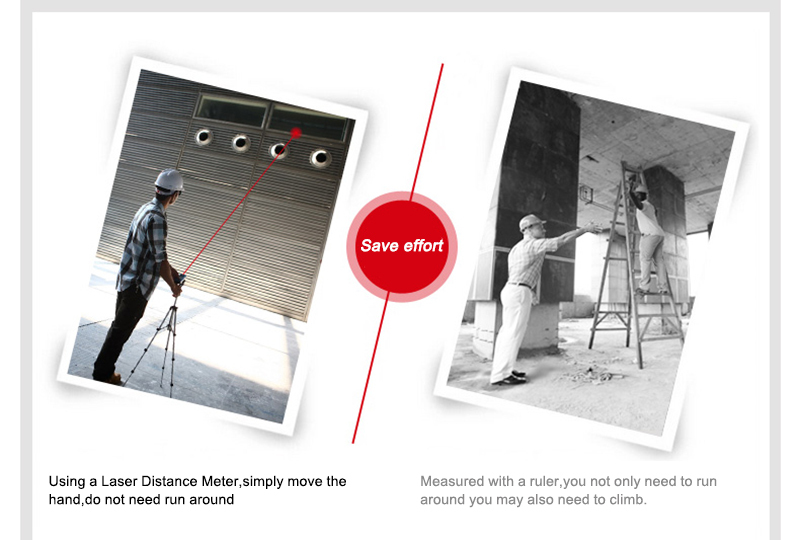 The Floureon Laser Distance Meter can manually add and subtract distance, area, volume, easy to operate. The new screen, large LCD with backlight, multi-line display (4 lines), more clear and lucid guide your operation. High-quality, and wide measuring range up to 80m (262ft). The high-precision instrument, the error is ±5mm (±0.16 inch). A quick measurement of distance, and automatically calculate area and volume. Data Hold / Data clear function, the distance Meter can save 30 records. Max/Min distance tracking (display value). You can set the Laser Distance Meter’s reference point. Switchable among meter (m), inch (in), feet (ft). 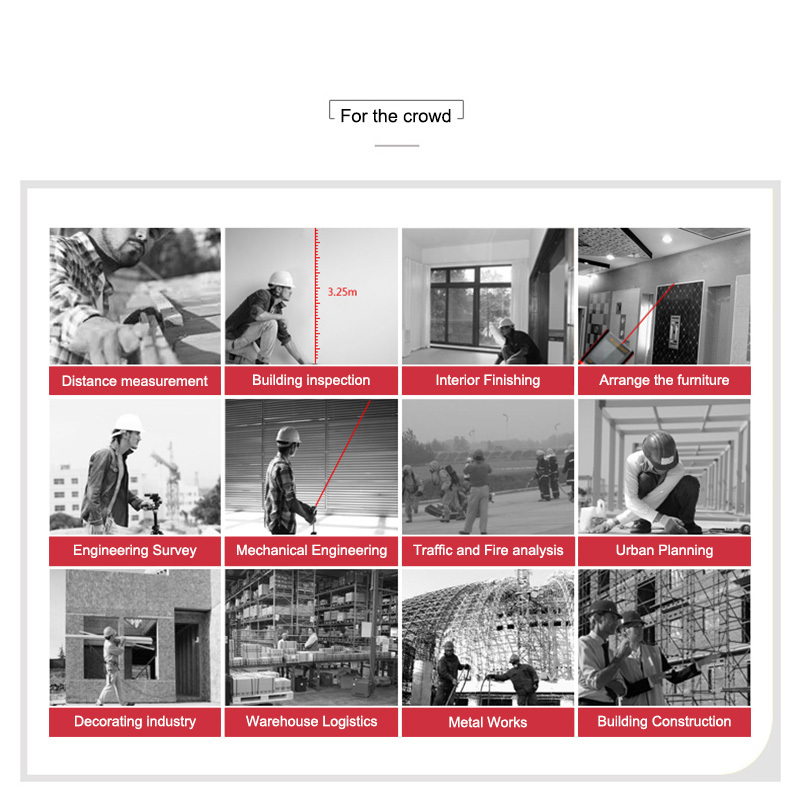 Easy targeting with a bright laser pointer, quick response, so it is widely used in various industries. Auto-correction and error report technology. * The Floureon laser product, is not allowed to shoot eyes or other parts of body，not shoot any objects’ surface with strong reflecting, either. * Please keep it out of reach of children and avoid using by any irrelevant person. * The Floureon Laser Distance Meter equipped with manual, please read the safety regulations and operation guide carefully before operation. It’s very important.